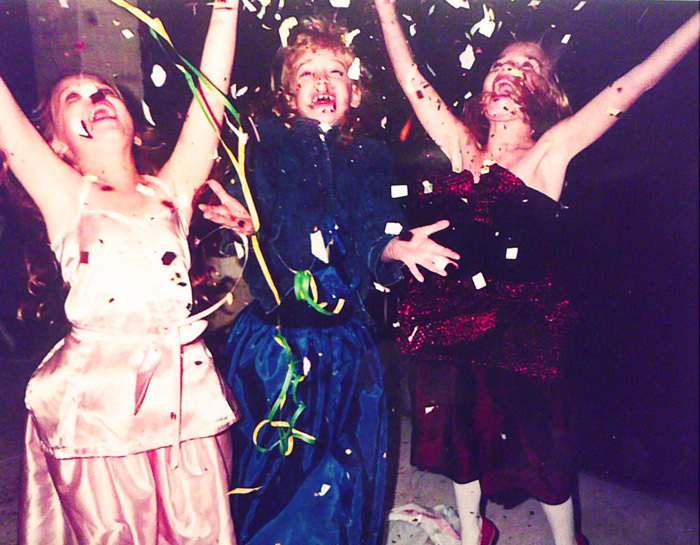 Happy New Year from 3 confetti obsessed 8-year-olds circa 1988! *Check out my beautiful white tights! Hot, right? I LOVE confetti! Seriously – it is absolutely my favorite thing about New Year’s Eve (although I do love the midnight kiss with my husband!) I have loved this holiday from a very young age simply because of the tremendous joy running through confetti gives me. My mother, Leigh Haverstock Moric, and Kristin Kopperud can certainly vouch for this. You see…at just 8 years old, I convinced my mother to allow me to host a formal dinner party for 2 close friends. What does a “formal dinner party” mean for an 8-year-old you ask? Well – in my case, it meant asking my mom to make three coordinating evening gowns in different colors. I chose red lamé with black velvet accents for myself, blue taffeta with sequins for Kristin, and pink satin with pearl details for Leigh. 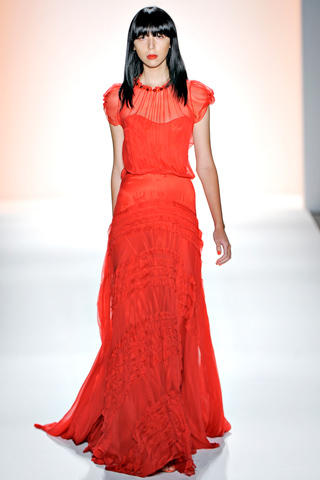 (In my opinion – we all looked elegant and very grown up – in reality, we looked like 8-year-olds in play dresses!) My idea of a formal dinner party also including eating our meal of choice (take-out chinese) on the china in the dining room and drinking sparkling grape juice out of the crystal. If she didn’t realize it before, NYE 1988 undoubtedly confirmed to my mother that she was raising a super girly girl. Truth be told – the movie Overboard with Goldie Hawn is most likely to blame for it. I still have high hopes of going to a party like the one she dreams of in the movie. I also have high hopes of having a revolving shoe closet someday like the one Kurt Russell builds for her on the yacht! This year I decided that I would like to dress like confetti for NYE. Care to join me? (My NYE outfit to come later.) 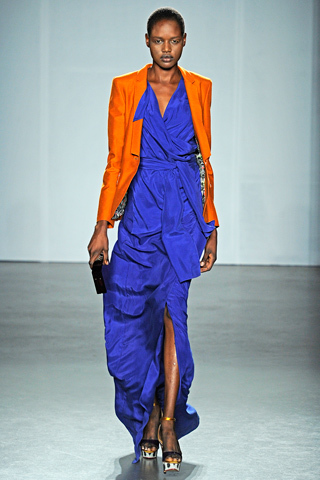 In the meantime, here are some super fun brights to inspire your “confetti dressing”. And remember, confetti is NOT just one color – feel free to mix, match, and add other bright accessories in the form of bags, shoes, and bangles. I know I am going to! Happy Confetti!! ← Circus of Love: Family, Friends & Festive Features! What an awesome opening pic!!! My children are overly excited about having confetti guns tonight for New Years Eve. It’s raining. Yikes that’s gonna be messy!!! Loved the post.